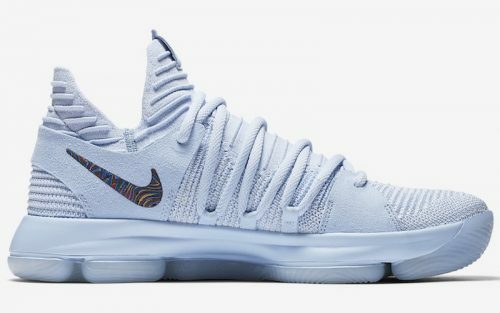 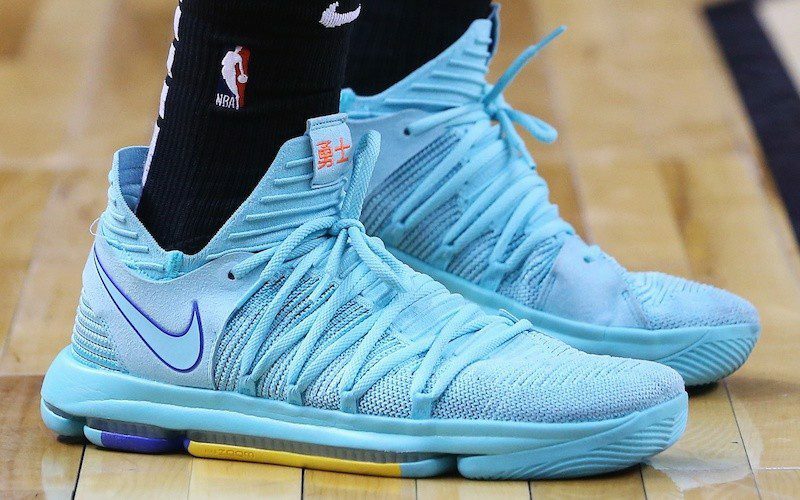 The 10th version of Kevin Durant’s signature shoe, the Nike KD 10, features a familiar Flyknit construction and a full length Zoom outsole, similar to that of the KD 9. 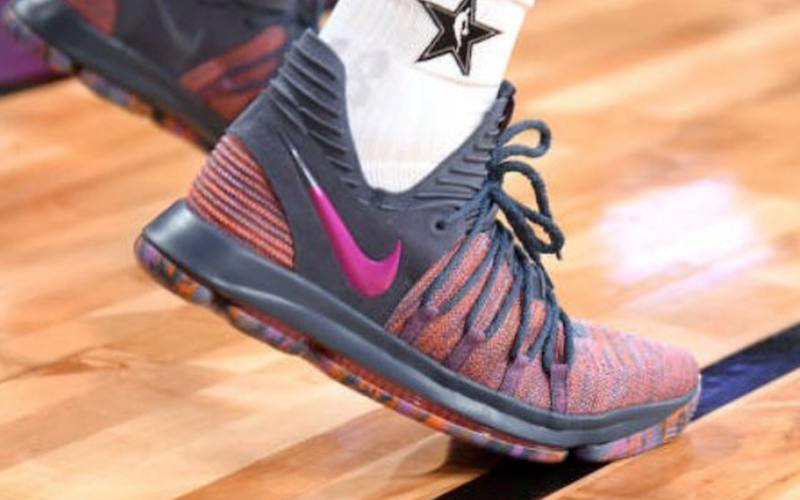 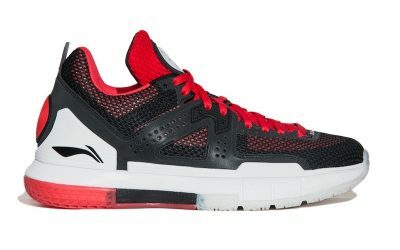 The shoe also sports thick rope laces exposed on both sides of the shoe, and a sock-like collar on the ankle. 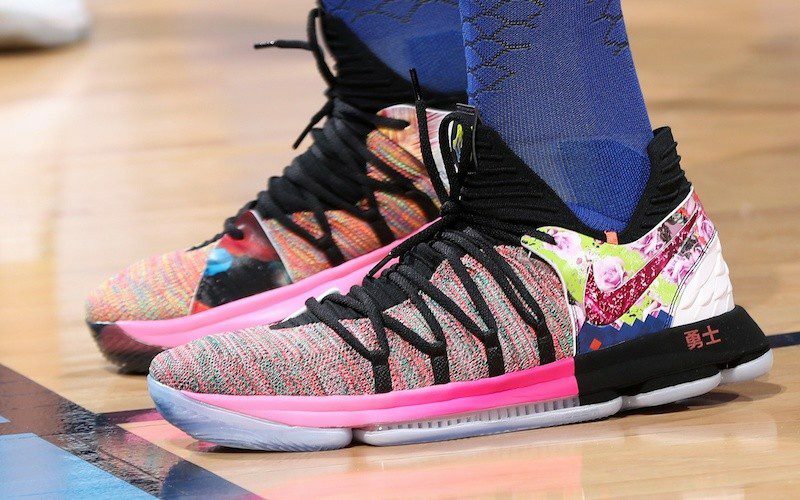 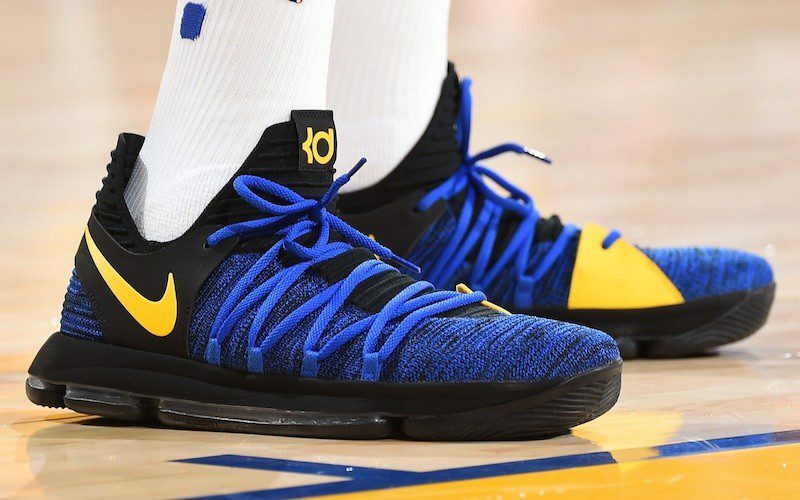 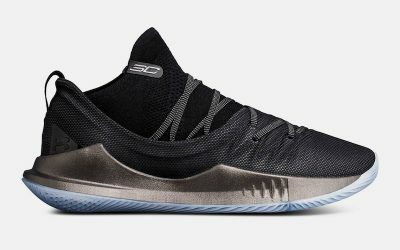 The KD 10, debuted by Kevin Durant against the Spurs in the 2016-17 Western Conference Final, released in June 2017.